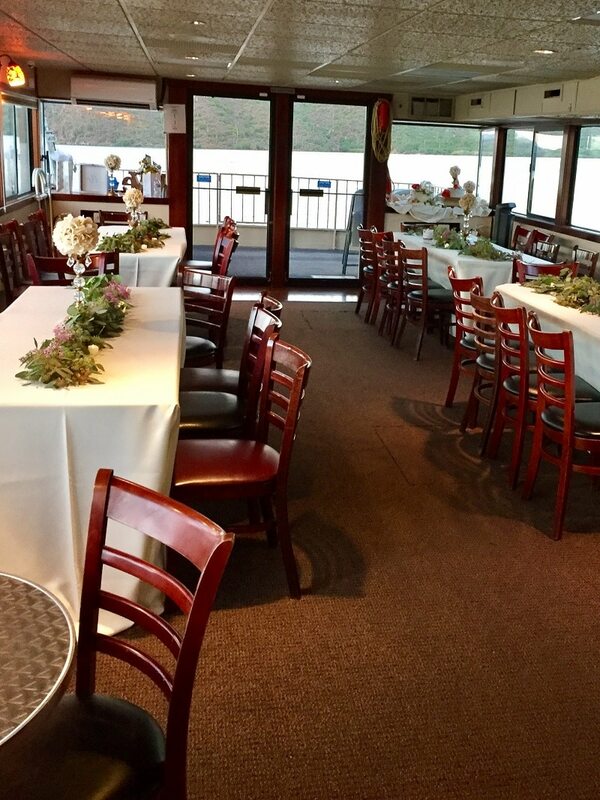 The Desert Belle is the perfect spot to host your next big event! 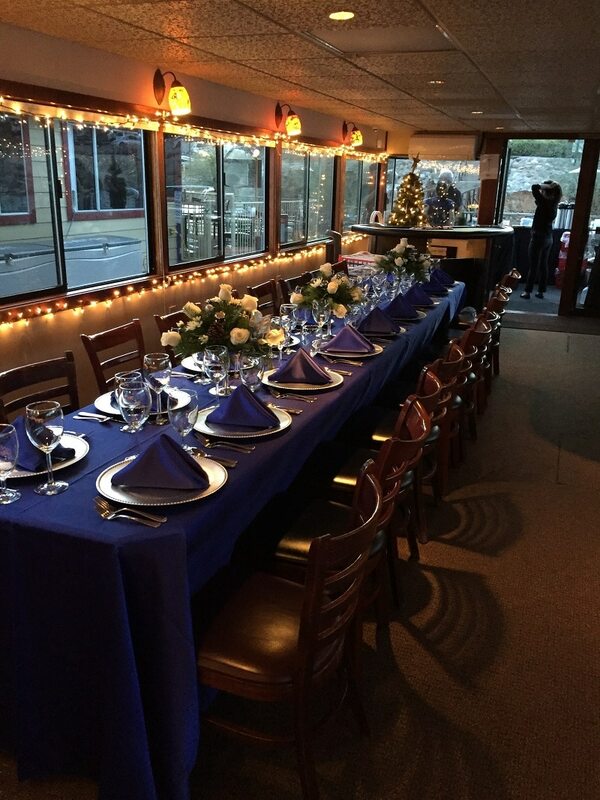 The boat is available for private charter cruises all year long. Are you looking for a unique way to host a wedding, office party, or other private event? 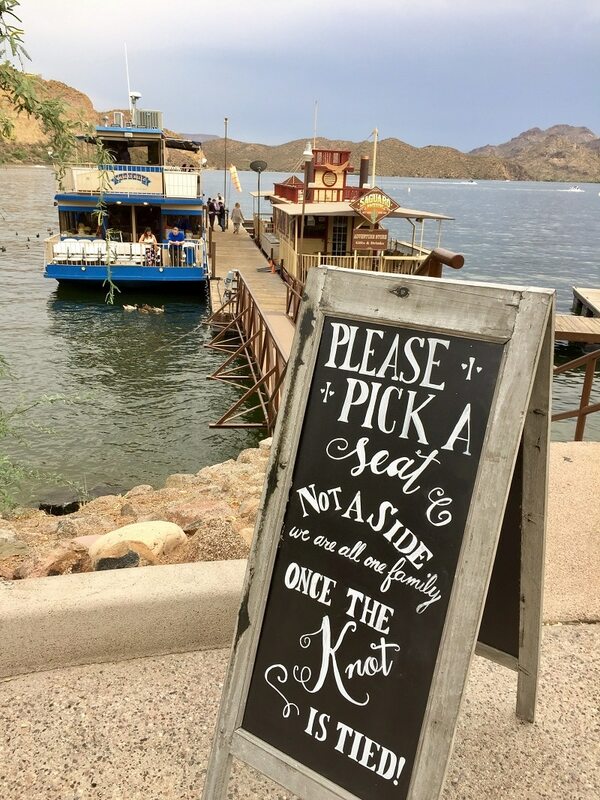 There’s no place more unique than this – a tour boat on Saguaro Lake! During your charter the entire boat will be yours, including her crew and amenities. Also at your disposal are flexible party planning services and catering. If you have your own resources that’s fine too. We’re here to help you make yours an event to remember in any way we can help. The Weekday Charter price includes Monday – Thursday for 2 hours up to 100 people. Private Charter times may be extended at an additional cost. The price is $425 per half hour. The crew fee will increase to $300 for a 3-hour charter. The Weekend Charter price includes Friday – Sunday for 2 hours up to 100 people. The price is $550 per half hour. The crew fee will increase to $300 for a 3-hour charter. The Wedding Charter price includes Ceremony and Reception for 2 hours up to 60 people. The capacity is set to 60 people due to being only able to sit 60 people upstairs for the Ceremony. 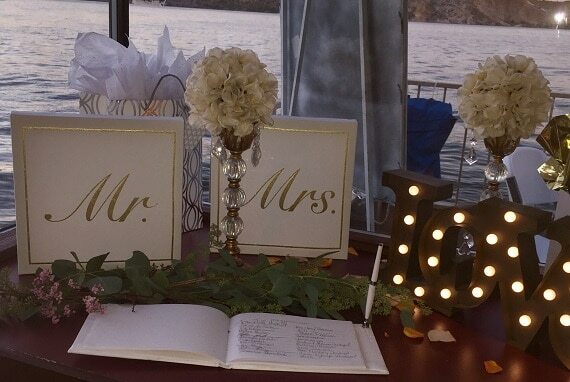 We can hold both the ceremony and reception on the boat for smaller weddings. 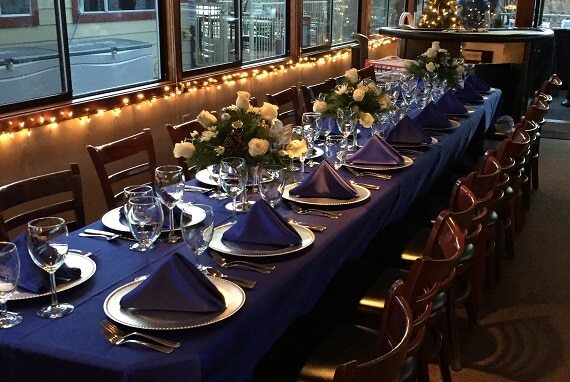 If you are wanting to have more guests than 60, we suggest you have your rehearsal dinner or reception on the boat and not the ceremony. 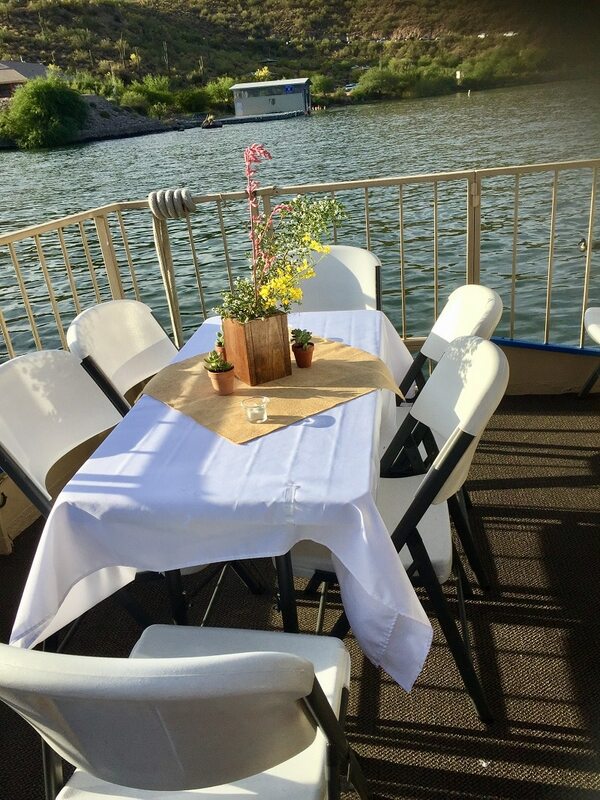 Not having your ceremony on the boat will increase your capacity to 100 people and lower the cost to the normal charter rate (weekday or weekend rate). The price is $625 per half hour. The crew fee will increase to $375 for a 3-hour charter. 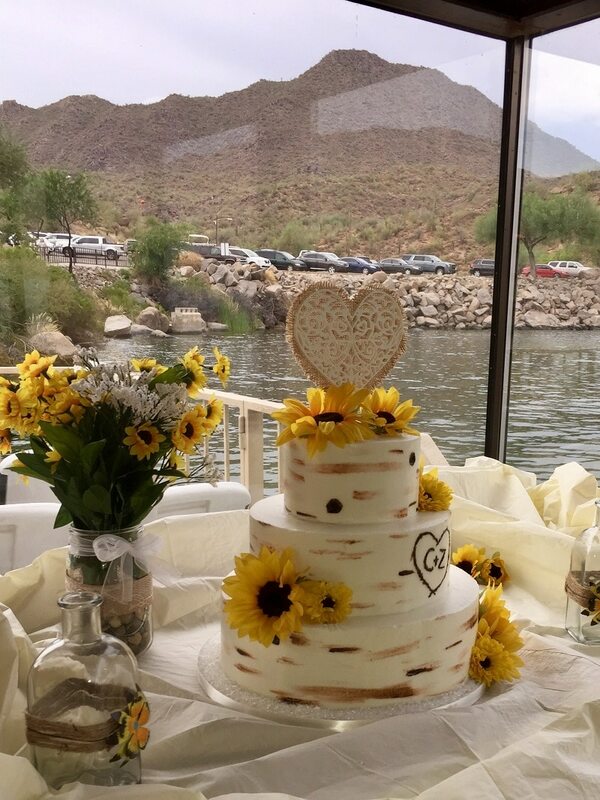 Photographer: The Desert Belle does not provide a photographer, but we have a list of photographers that have shot weddings or wedding rehearsals on the boat. Please click on the photography link below. DJ: The Desert Belle will not be in charge of your music for the ceremony. Please designate someone that will start and stop the music when necessary or hire a DJ to be in charge of the event. Charters are generally available between the hours of 7am-9pm 7 days a week. We will not cancel a public cruise to host a private charter*. The charter must work around our public cruise schedule. *Exceptions during summer months. 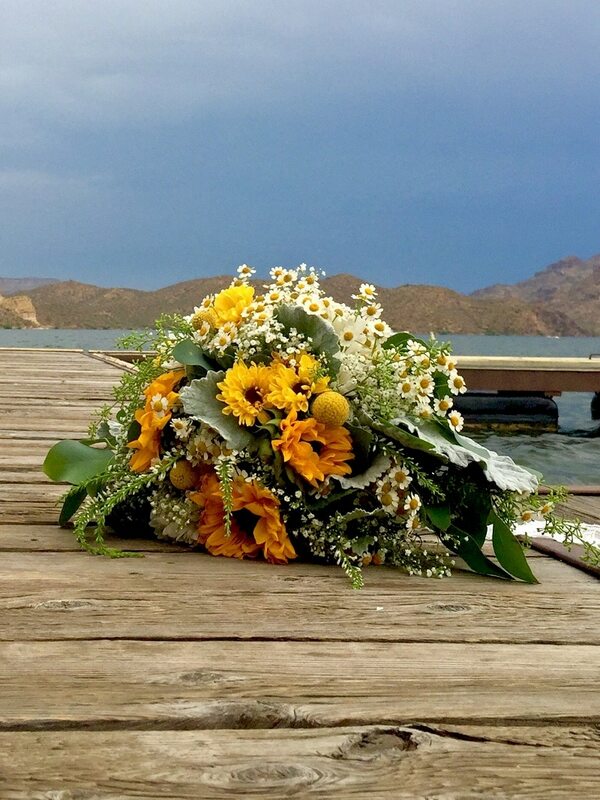 Please contact Anne Duggan at charters@desertbelle.com or 480-984-2425 x 702 for more information. Additional costs may include: Bar Tab, Decorating and Catering. Bar Tab: All alcohol must be purchased through the Desert Belle. We always charge by consumption. 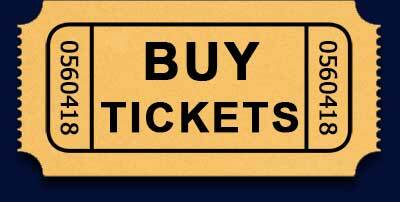 You can choose to have a hosted bar, partially hosted bar or cash bar. Gratuity on the bar is also not included. Please tip your bartenders. Our beverages range from $2-$6. Click on the Beverage Menu to download our drink list. Decorating: The Desert Belle provides all the tables and chairs. We do not provide any linens or decorations. Catering: The Desert Belle does not provide any catering. 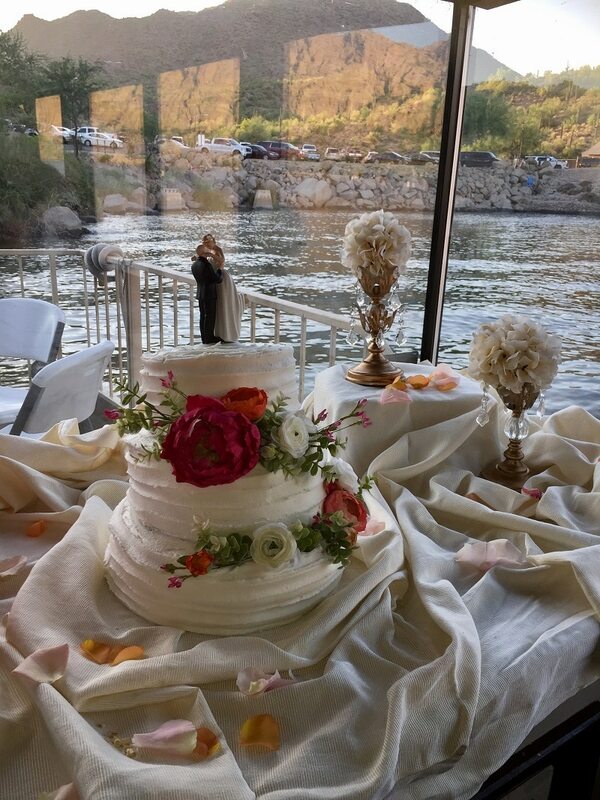 You can bring on your own licensed caterer or choose from a list of our preferred vendors. Click on our Preferred Caterers to download the info and contact sheet.